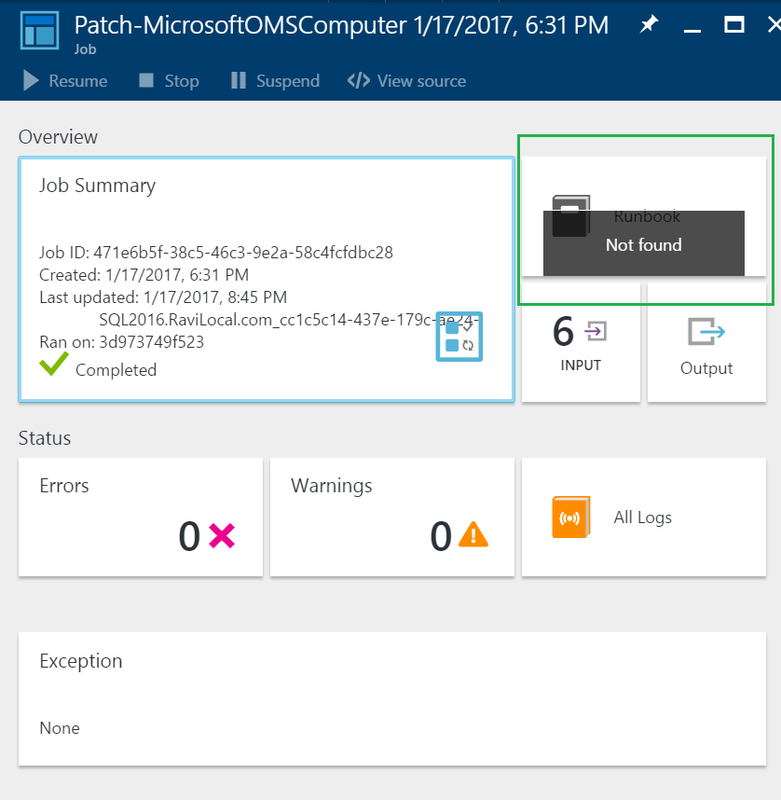 What’s the future of SCCM (Configuration Manager) with OMS now deploying patches? Can this be used concurrently/dual-homed with SCCM for on-premises environments? Is OMS essentially System Center in the cloud? For the most part, SCCM will still be required for on-premises environments. When it comes to application deployments, computer/server images, granularity with patch/hotfix selection, etc. 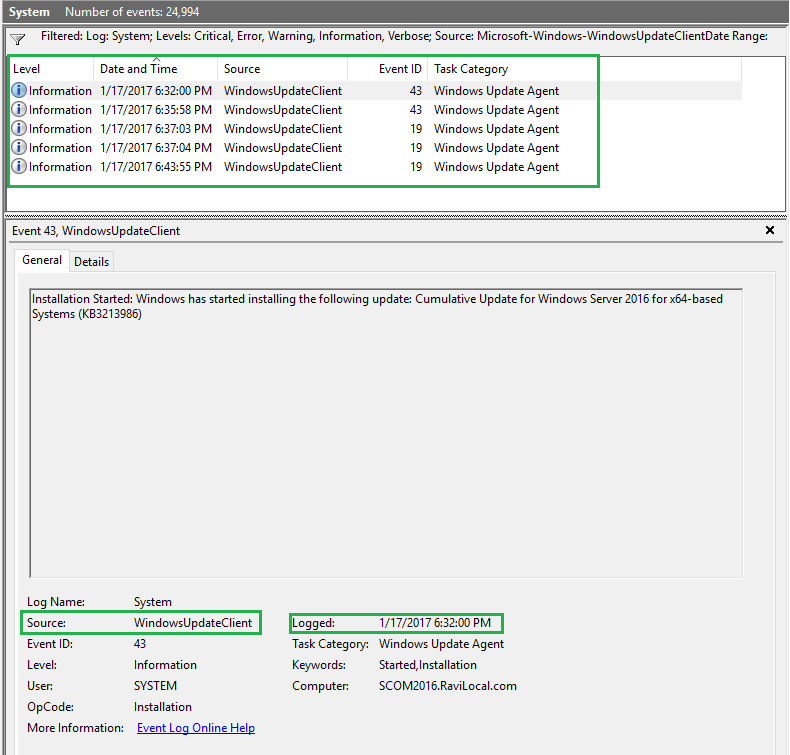 Microsoft has explicitly stated SCCM configured machines cannot be tagged to OMS with respect to patching, so at the current time, OMS and SCCM cannot/will not work together, whereas OMS and SCOM work hand-in-hand (for now?). It also seems OMS is slowly becoming System Center in the cloud. 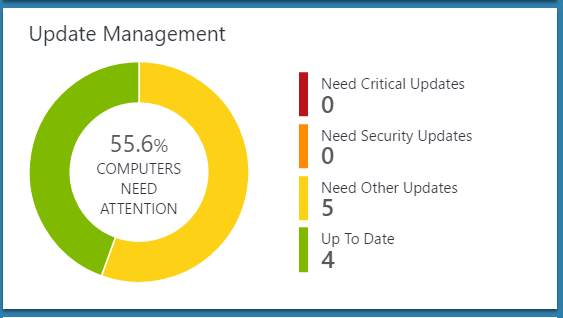 It has absorbed the monitoring capabilities from SCOM, and now the patch management process from WSUS and SCCM. So, is OMS the future, in my opinion, no, it is not the future, it is very much the present! 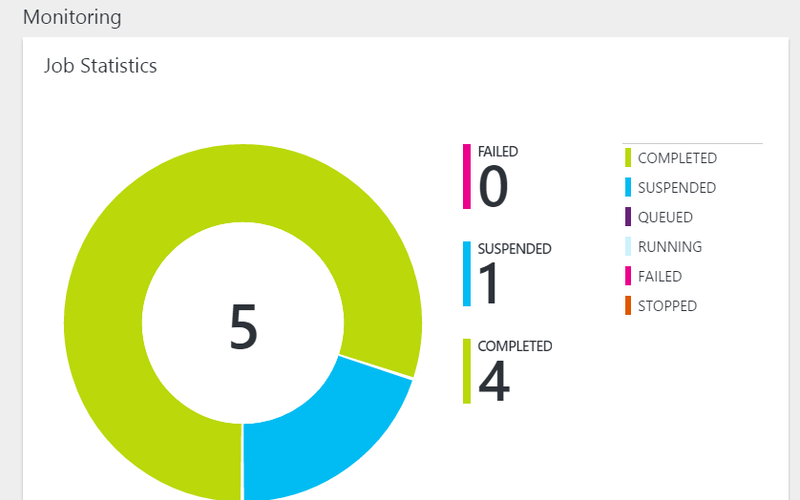 I think OMS/Azure will soon welcome the demise of System Center. Once we have taken care of these steps, the rest is pretty easy. 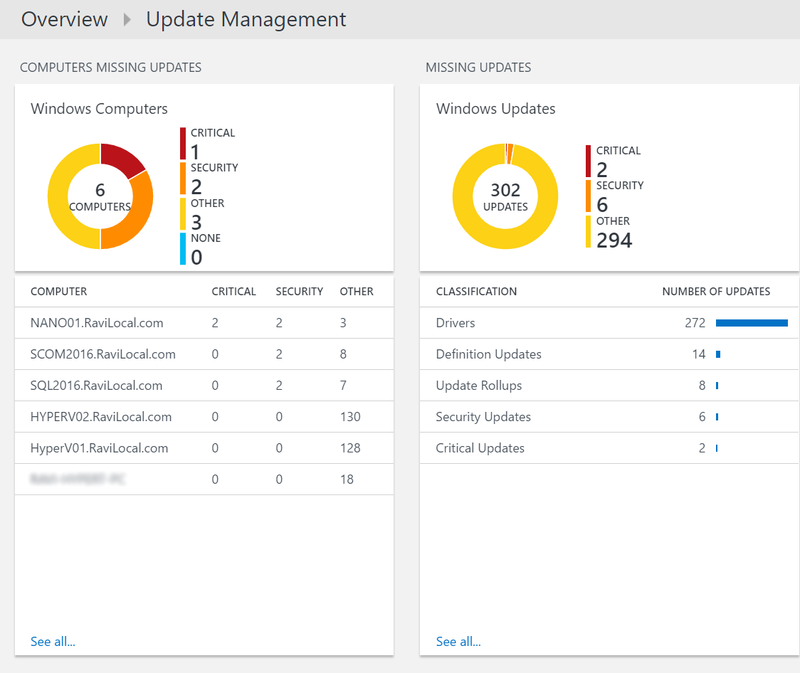 Clicking on the Update Management title, here is an overview. 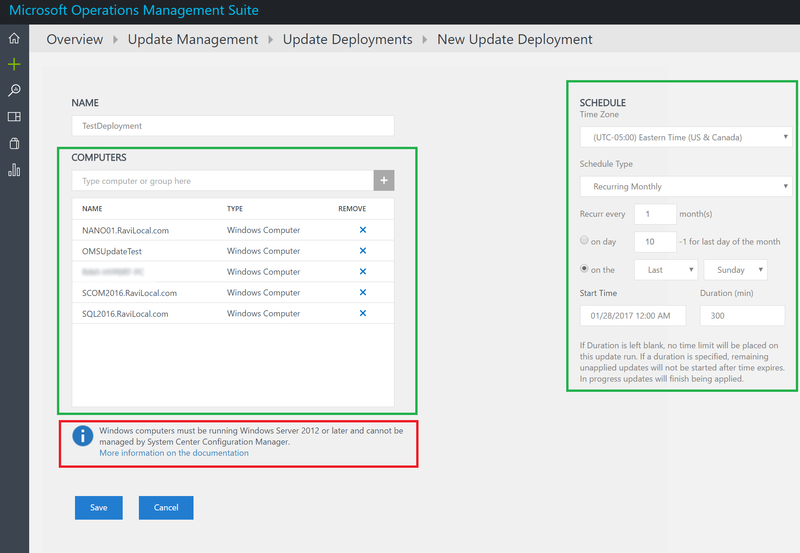 If we move over to the right, and click on Manage Update Deployments, we can then see our current configuration and schedules, and create new ones. 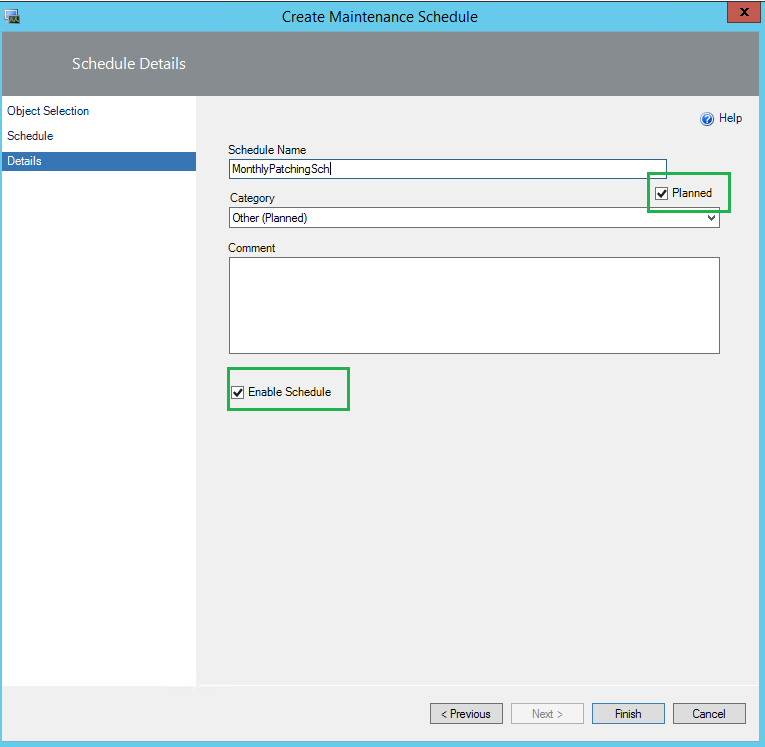 Creating a deployment schedule is very, very easy! 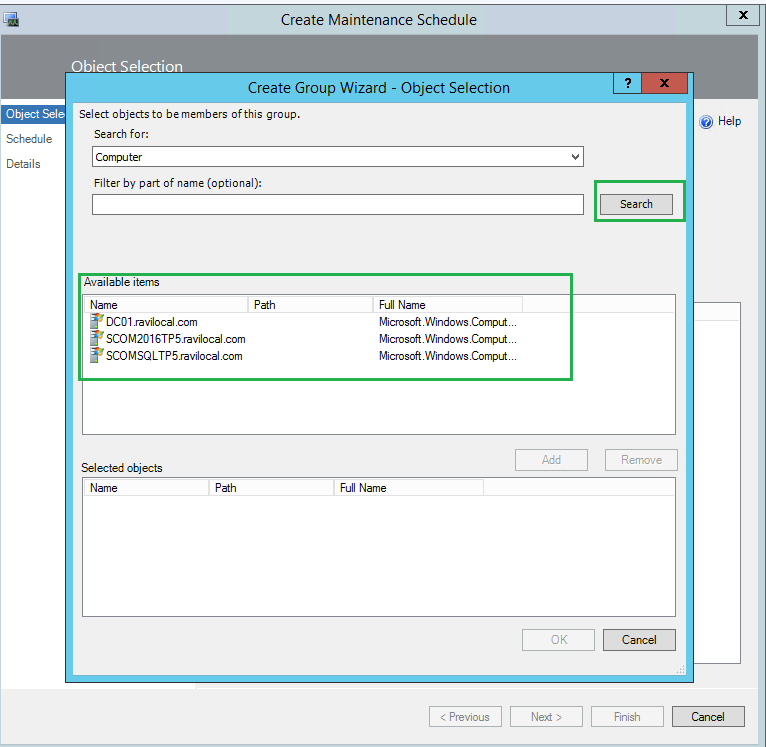 Name your deployment, and select some computers to manage in this group. 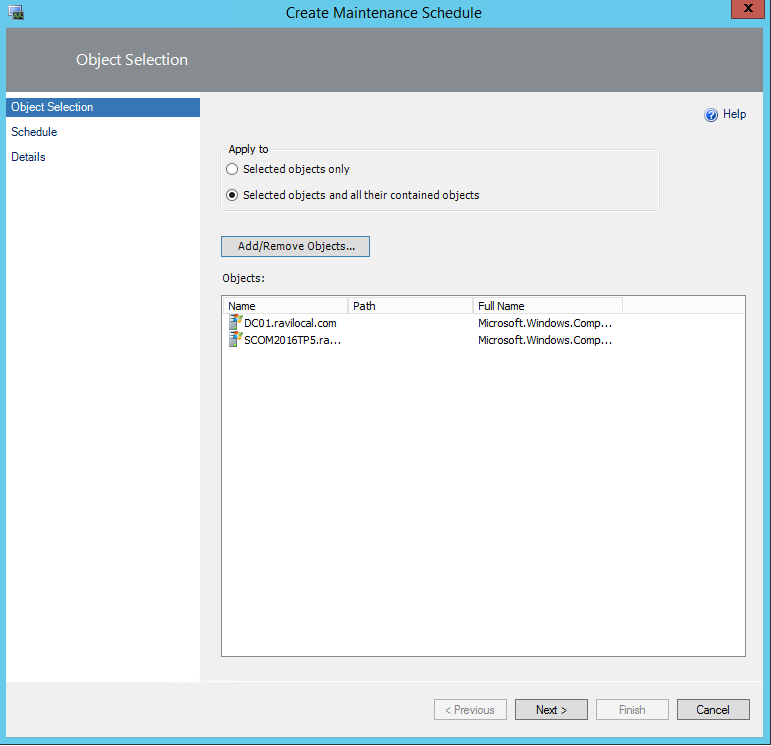 Notice the big red box, we cannot couple machines with OMS Update and System Center Configuration Manager! Next, create a schedule, for example deploy patches on the Last Sunday of the month, and run the schedule for 5 hours (300 minutes). If a machine is unable to complete the patching cycle within the 300 minutes, it will resume with patches at the next scheduled deployment. We can also choose to run this schedule 1-time, or reoccur weekly. Once happy with the schedule and computers, hit Save. 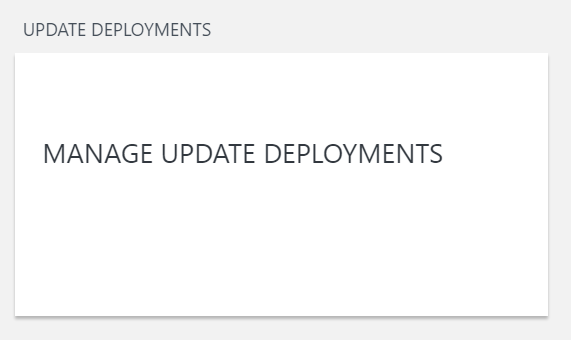 Once saved, we can now see our Scheduled Update Deployment. 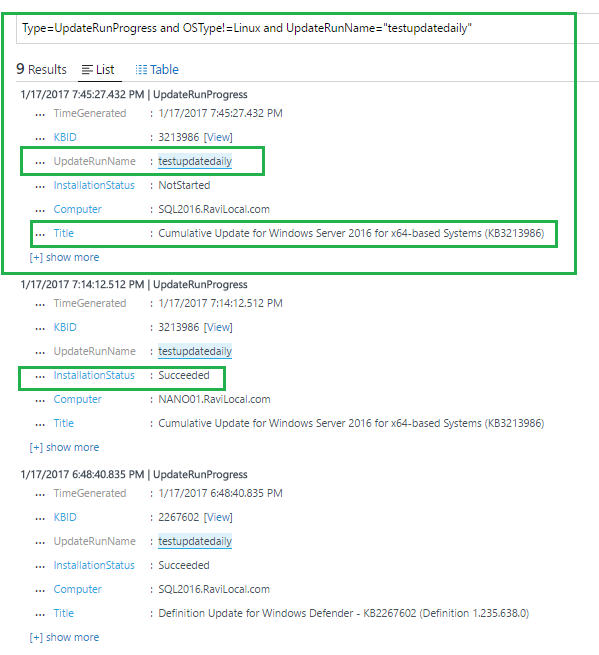 Once the Update Deployment has executed, let’s take a quick look at the updates that were applied. If go back to OMS and select the results, we can see what patches were applied, what failed, etc. We can also expand further, by seeing the KB for the patch, and the exact patch that was applied, or failed, or missed, etc. If we go back to the Update Deployments, we can see our deployment ran as planned, and patched the 4 servers in the group (one of the five machines was offline). So how exactly did this all happen? How the Update Management Solution Work? I say this because the solution clearly adds two Runbooks to the solution, and both of these Runbooks are not accessible and not even visible. If you dig a bit into the Job details, then we can see some information. But overall, the guts of this solution is pretty well hidden. 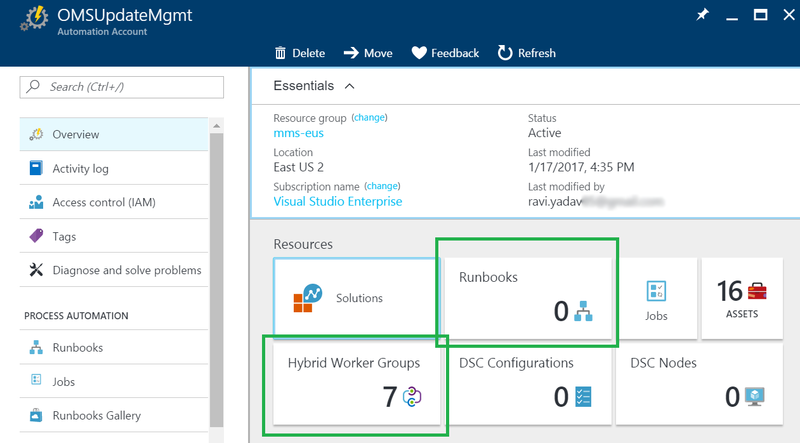 Go into your Azure portal (ARM — Azure Resource Manager) and find Automation Account you created for this solution to work. I called mine, “OMSUpdateMgmt“. 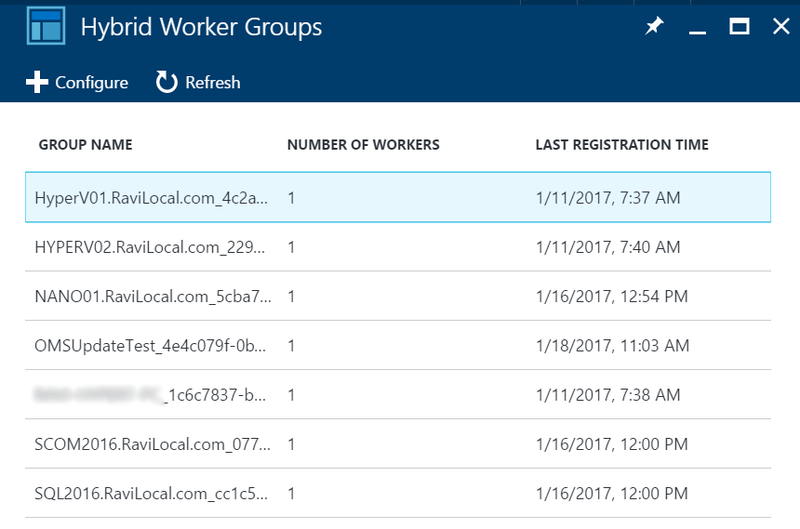 As you can see, there are 0 (Zero) Runbooks… and we now have 7 Hybrid Worker Groups. If we click on the Jobs title, we can see 4 jobs completed (I had 5 schedules/deployments. I cancelled 1). Ah ha!! 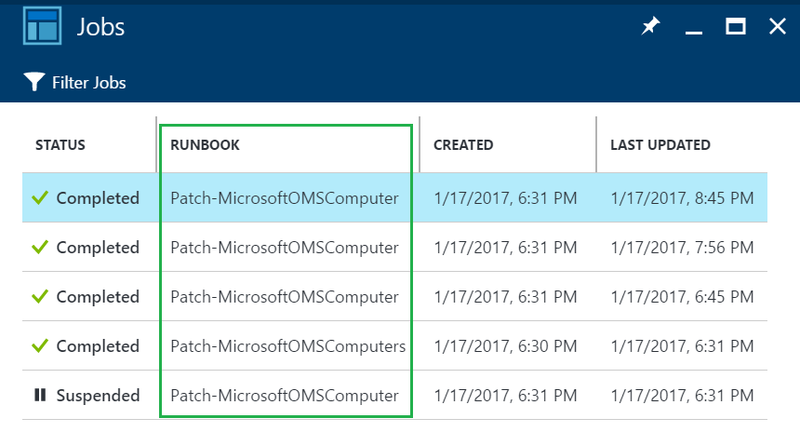 There are the Runbooks, “Patch-MicrosoftOMSComputer” and “Patch-MicrosoftOMSComputers“. If we select one of the jobs, we can get some more detail. We can now see the Runbook executed against my SQL server. Nice, the Automation Account found all the machines in my workspace, and made them each a worker. 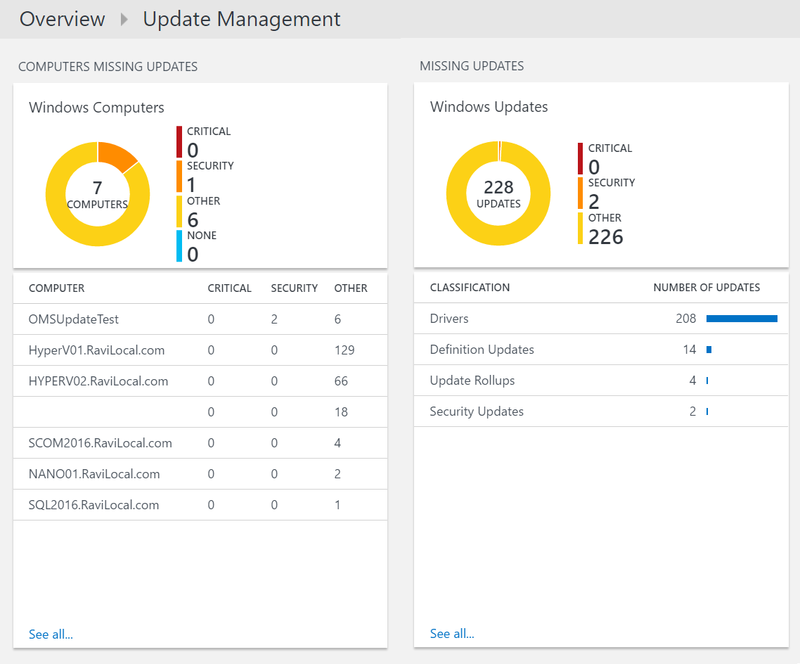 The Update Management solution for OMS is great! 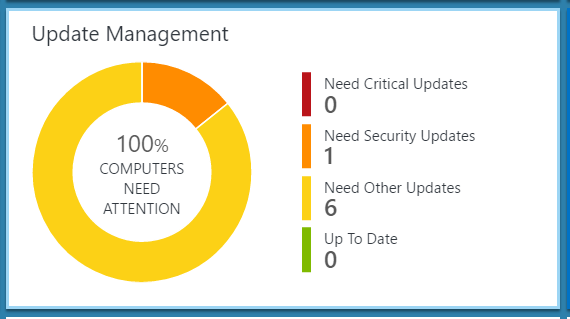 It makes the entire process a lot easier and cleaner (IMO), especially since I am not a SCCM expert. 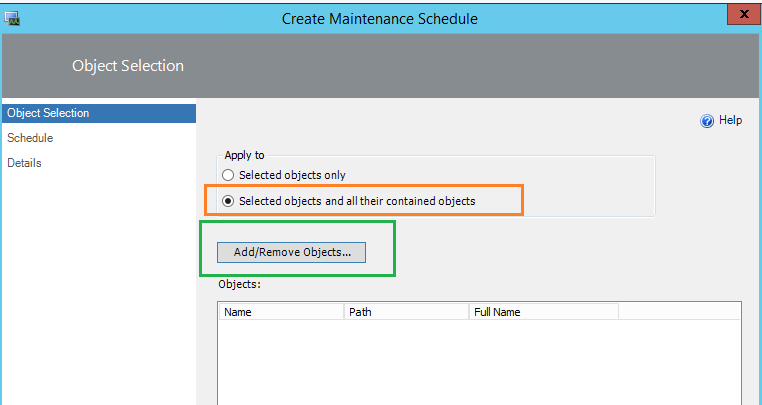 You can setup collections just like we could in WSUS and SCCM. However there are some negative takeaways (see above). 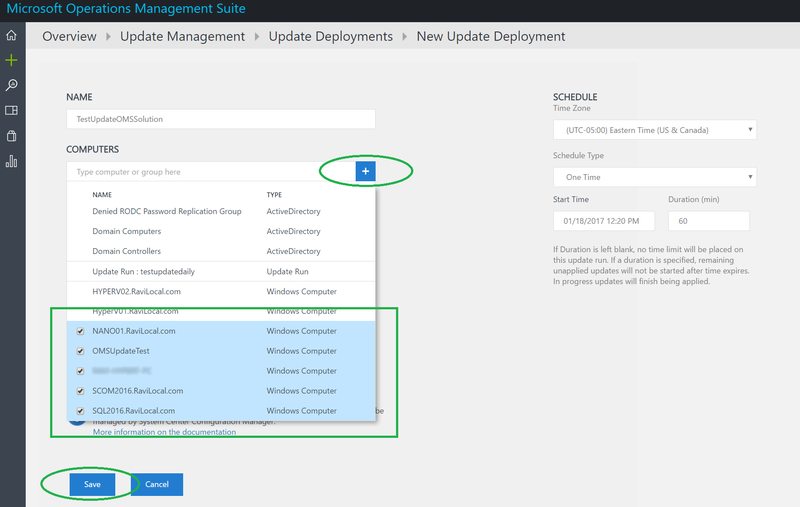 Of course like most OMS solutions, updates are pushed out regularly, so I am sure the Update Management solution will get some tweaks here and there as time goes on. My response is, well, with some PowerShell and the Windows Task Scheduler, you can achieve this. 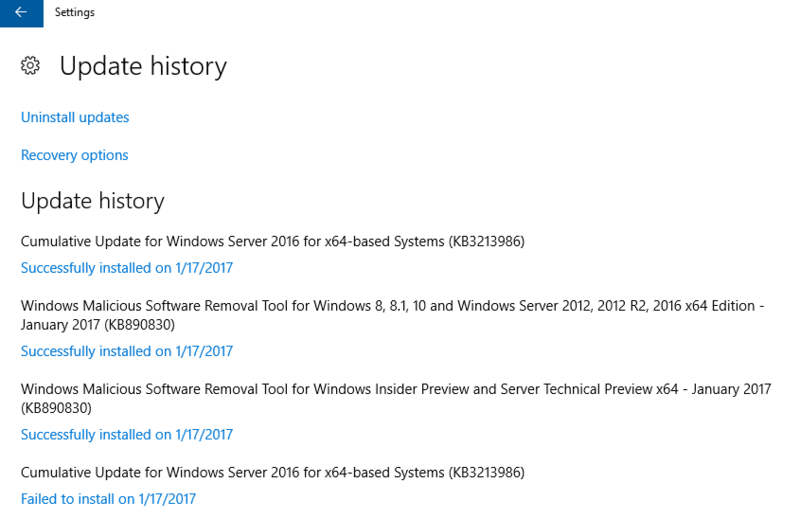 But wait, looks like the System Center/SCOM 2016 team has listened and delivered! 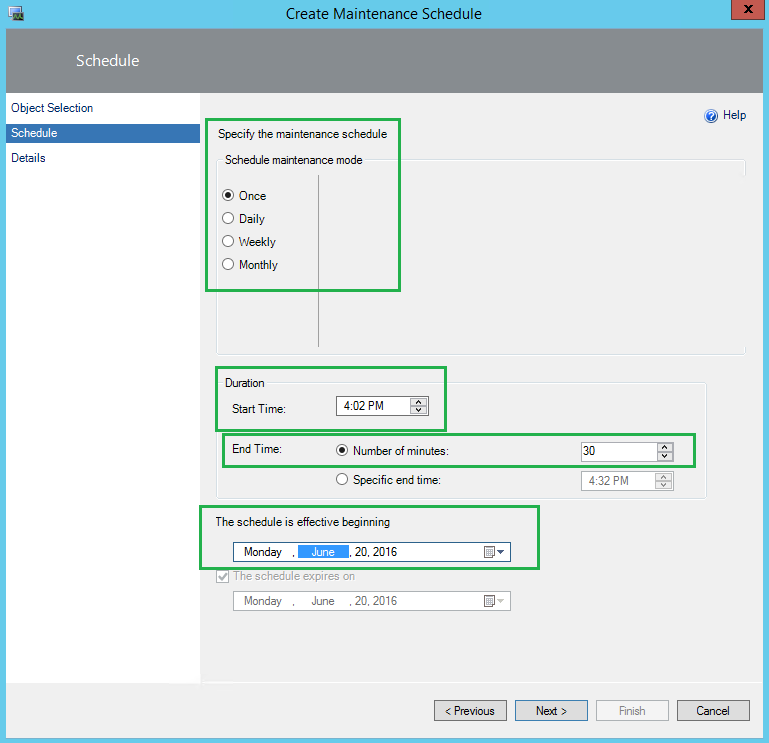 Introducing ‘Maintenance Schedules‘. 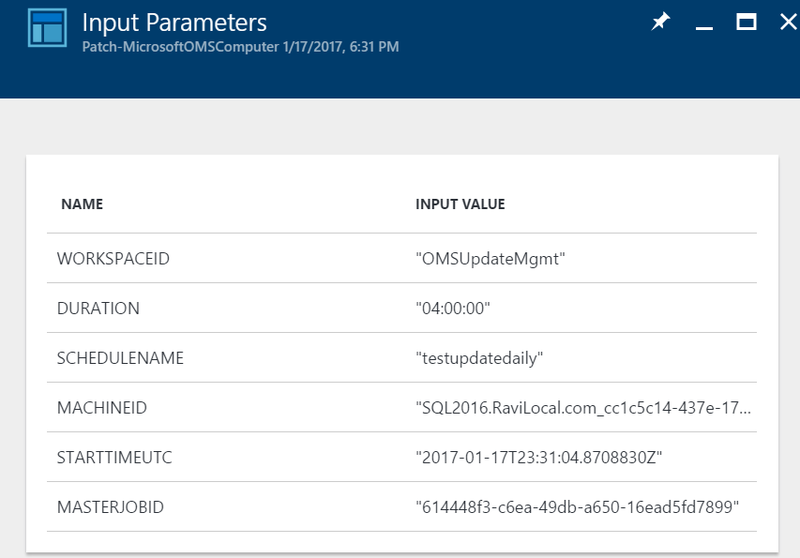 Now SCOM administrators can put a machine, or a group of machines, or a group into Maintenance Mode (MM) for a future date. 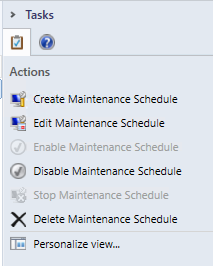 Even better, it looks like a lot (if not all) of the functionality has been taken from good old Windows Task Scheduler. What that means is, you can put machines into MM, for that Friday night/Saturday morning Change Request, or even better MM for reoccurring schedule, like Patch Tuesday. 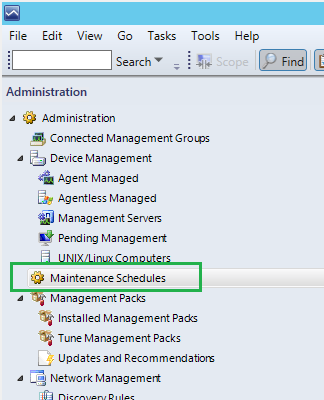 In the example below, I am going to do a quick walk-through for a group of machines for a typical patching schedule. Scheduled MM will start @11:00PM. 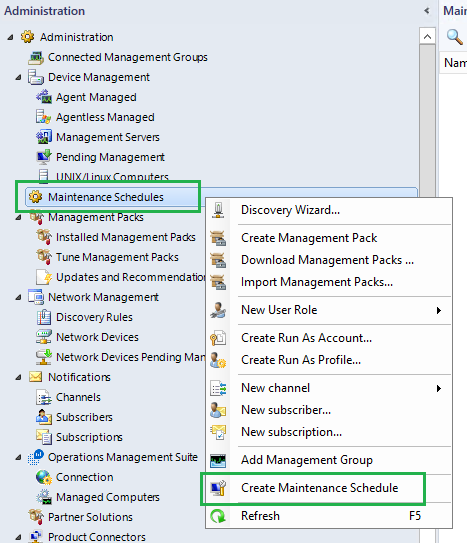 Right click either on Maintenance Schedules, or within the middle pane. Next we are presented with an array of options. As per our example, we will be putting our machines in MM every 3rd Friday of the month, starting at 11:00PM, for 6 hours. 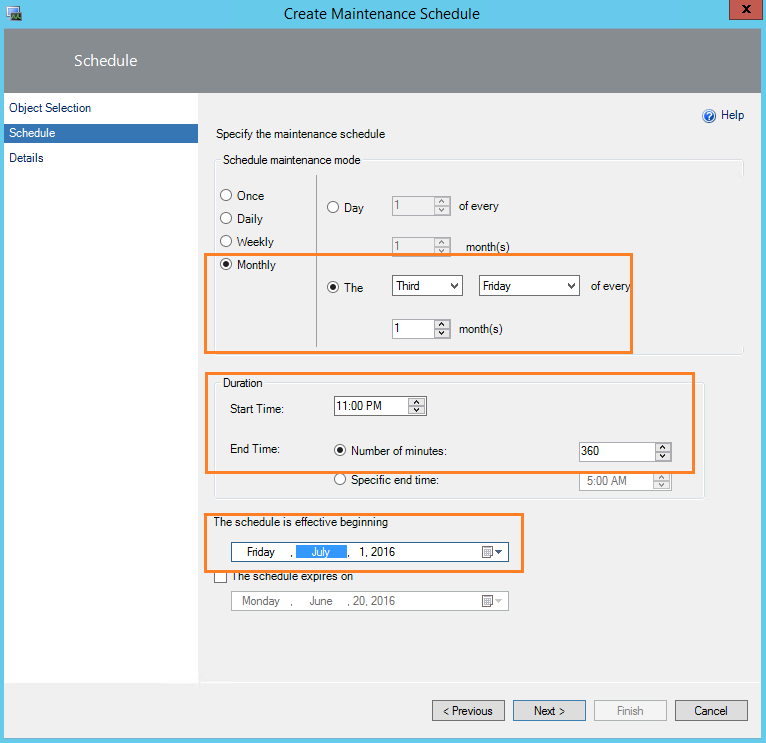 Now we need to provide a name to our MM Schedule… By default, ‘Planned’ and ‘Enable Schedule’ are ticked off. Go ahead and hit finish! 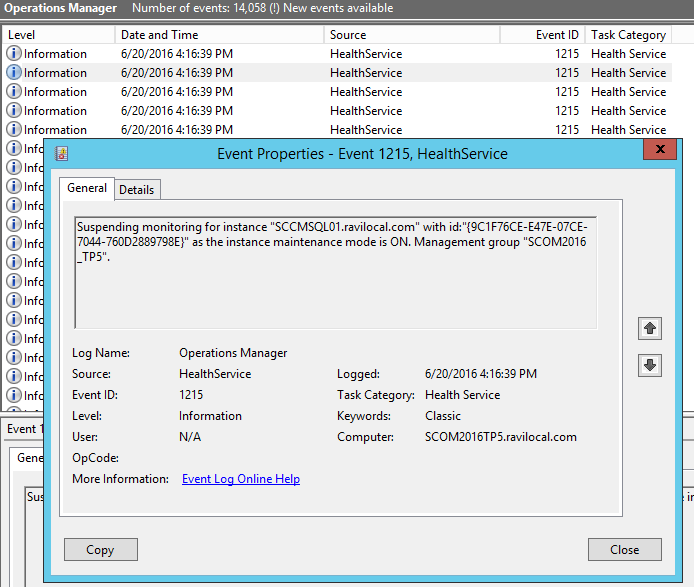 If the schedule was done correctly, you will see the Event ID 1215 within the SCOM Management Server.